Batter up! 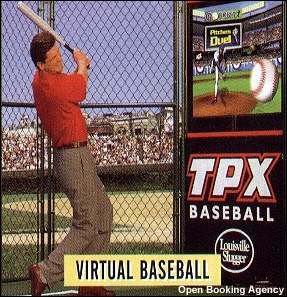 We introduced this amazing game at the 1997 All-Star Game. The newest virtual game around. Step up to the plate, take a practice swing and prepare for the all-star pitcher to release a fast ball. You swing and it's....outta here! Compete for total hits and runs against your friends! A absolute hit at any event!